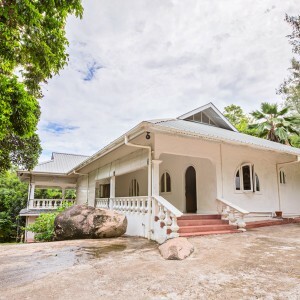 On a big plot of land, this house has two furnished flats, with spacious verandas and a nice view of the northern coast of the island of Praslin. The property is located within a 5 minutes walk to the Coté D’or beach, where major hotels are locate. 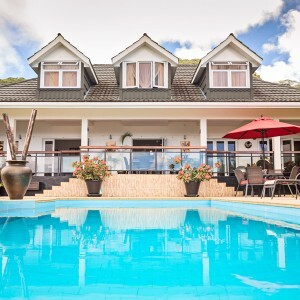 This luxurious villa is located on the mountains at 600 m above sea level, with an unsurpassed panoramic view of the ocean, the island and the capital of Victoria. Exotic gardens, swimming pool, tennis court, gym/spa, add to the elegant interiors. 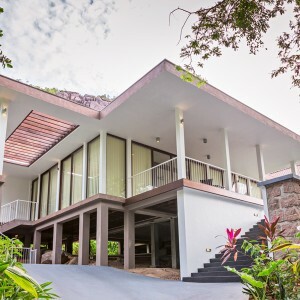 The VM2 in Seychelles is a newly constructed, modern luxury villa on 3 levels, with full facilities, big shady terraces, spa and swimming pool. It is overlooking Port Victoria and the northern coast of the island. 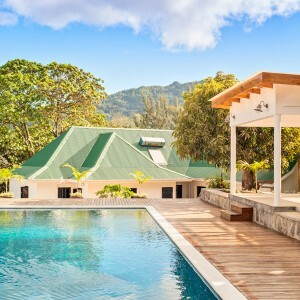 The Ever Blue Estate is located in the Anse Aux Pins, on the Island of Mahé, Seychelles, adjoining and overlooking a 9 hole golf course. It is walled all around and is presently leased to the Chinese Ambassador as a residence. 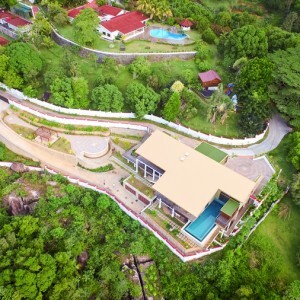 A walled gated community residential estate (~12,000 m²), including 5 already built houses and 6 more under construction situated in the most desirable high-class Residential Hill with the most dramatic panorama view. 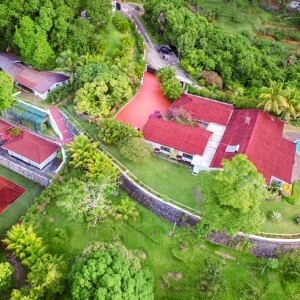 A three-block-of-flats on the west coast of Mahe, offering a spacious living quarter for anyone who wishes to have a quiet surrounding of unadulterated nature, serene scenery and complete privacy. 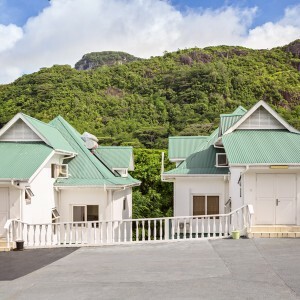 Two new, modern, three-bedroom villas, with generous terraces, garden and parking places, overlooking the beautiful Curieuse Marine Park, on the Northern tip of the island of Praslin.